Repressive governments typically seek to control personal freedoms. Therefore, in this information age, it’s no surprise that such governments try to restrict citizens’ online activities. They do this by blocking access to certain websites. And, since people try to access such blocked sites by using VPNs, the governments also ban VPNs. However, blocking and banning VPNs isn’t an easy task. VPNs provide sophisticated systems to evade censorship. Such systems are hard to identify. So, here’s how such repressive governments try to block VPNs. Blocking access to VPNs requires dedicated resources, which means serious investment. Hence, governments focus their efforts on known VPN service providers. They often target specific points in the Internet traffic route. This is based on a basic understanding of how VPNs operate. Putting it simply, a VPN protects your Internet traffic by encrypting and routing it through the VPN server. This action effectively hides your IP address. In a bid to interrupt that traffic, governments block the ports used by VPN protocols. These include PPTP or L2TP ports. Alternatively, the traffic can be interrupted by blocking IP addresses of specific VPN service providers. All these can be taken to the extreme by blocking access to any overseas IP addresses. That’s an option typically taken by countries that aren’t worried about the economic impact, such as North Korea and China. Another option such countries can take is using highly sophisticated tools, such as deep packet inspection. This tool can identify VPN protocols within packet metadata. Countries like China use this as an automated and targeted system to find and block VPN servers. In cases where the countries can’t invest in such sophisticated technologies, they pass legislation outlawing VPN services and requiring citizens to use only those registered with the government. They even of make VPNs illegal with severe punishments for defaulters. Such laws mostly serve to scare people from using VPNs since detecting the VPN traffic without sophisticated equipment is extremely difficult. Now that you know how they do it, here are the countries trying to block VPNs. Here are the countries with technological barriers to block VPNs or laws against VPN use. China is undoubtedly the most notable country in its efforts to ban and block VPNs. The country has taken extensive measures to ban and block VPNs and Tor. 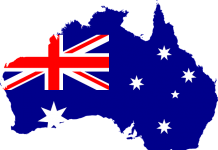 VPN service providers must be licensed by the government. Unlicensed VPNs within the country get closed down, and foreign ones get blocked. The government is in a unique situation since it has complete control of all in-country Internet service providers. This gives the government the ability to use deep packet inspection; which monitors Internet traffic within the Chinese cyberspace and the traffic coming in. No wonder China is largely capable of identifying and blocking VPN traffic. Russia is well known for its control of free speech and information access through legal action. Such government control is seen in the 2016 Yarovaya Law passed by the Russian Duma. This law not only required registration of VPN services with the government but also logging of users’ online activity. In essence, logging user’s activities makes the VPN service of no value. In 2017, the Duma went a step further requiring approved VPNs to block access to specific websites blacklisted by the government. Failure to abide by such laws would lead to an outright ban of the VPN. 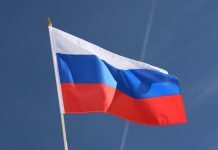 Various VPN services get around such bans by being situated outside Russia and also not logging information on users, which prevents identification of users in Russia. Belarus has a long history of restricting citizens’ access to the Internet from outside the country. The Belarusian government banned VPN services and Tor in 2015. Fortunately, tor users have options to get around the legal and technological barriers set up by the government. Iraq is a special case. The prime motivation for banning VPN services and social media seems to be the war against ISIS’ online presence. The government even has rolling blackouts of the Internet within the country. However, even after the end of the siege by ISIS, the country never repealed those harsh Internet restrictions. Like other typically repressive governments, Iran only allows VPN services from licensed and registered service providers. Starting from 2013, VPNs from foreign countries were blocked. Apparently, such control isn’t watertight. VPN use is still quite common among citizens and government officials, despite the risk of punishment for using VPNs. As far back as 2010, Oman had passed a law prohibiting the use of VPN services by individuals. That law comes with a 500 rial fine (approximately $1,300) for anyone accused of the violation. And companies get a 1,000 rial fine if they break that law. To use a VPN, companies must get a permit. And they are restricted to only using a government-approved VPN. Blocking of VPN services and Tor began in 2016, with the Turkish Erdogan regime. And they have seriously invested in this, with the use of deep packet inspection techniques, just like China. Such technology detects and blocks VPN and Tor traffic. Despite this, VPN use is quite widespread. The primary challenge is you can be marked as a person of interest by law enforcement just by using a VPN connection. The UAE offers some flexibility with permissible uses for VPN services. The point at which you face temporary imprisonment and a fine of up to 2 million dirhams (about $540,000) is if you use the VPN service to commit a crime or prevent its discovery. This is based on a 2016 revision on the UAE law. However, VoIP calls are banned, as well as numerous websites, such as Netflix and several French TV channels. That means the law prevents you from using a VPN to access such sites. The Ugandan government’s tax on social media led to extensive use of VPN services in the country. That led to the government demanding that Ugandan Internet service providers block such VPNs. Fortunately, no legislation exists as yet against VPN use. An incident in early 2018 reflects the VPN situation within Venezuela. It’s presumed that the government ordered the country’s largest Internet service provider to try to block VPN and Tor. 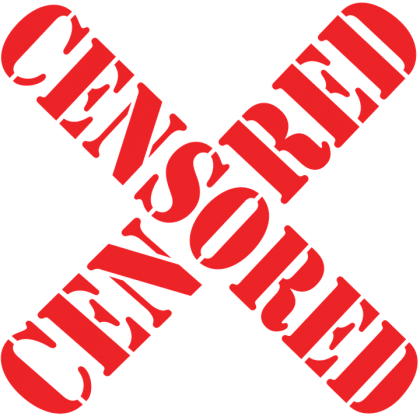 Multiple other countries experience varying extent of censorship. Although the countries may not have known legal bans, it’s risky to use VPNs. Since such governments don’t have full infrastructural control of their territory, they can be considered hostile to VPN use. Now that you know the countries where the government is trying to block VPNs, it’s time to show you how you can bypass such blocks and access content of your choice regardless of your location. I know you are wondering whether this is possible. Yes, it’s possible to bypass such blocks. If you are looking to bypass notorious firewalls that target VPN traffic, you need to invest in a VPN that uses the stealth technology. VPN stealth disguises VPN traffic to appear as normal https traffic making it impossible to detect. That way, you can bypass the firewalls with a VPN and access content of your choice. NordVPN is my favorite in this category. It comes with the obfuscation servers that are excellent at camouflaging the VPN traffic to appear as normal https traffic hence making it undetectable by firewalls that target the VPN traffic. Consequently, the VPN is used by many people wishing to travel to China in a bid to “climb over” the notorious Great Firewall of China. 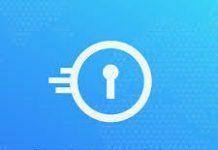 Apart from that, the VPN exhibits excellent speeds provides you with more than 5000 worldwide servers, 256-bit encryption, and some of the best pricing for a premium VPN. They are a strictly no logs VPN service and allow you to connect up to 6 devices at the same time. VyprVPN is another excellent premium VPN that you can use to bypass firewalls that target the VPN traffic. 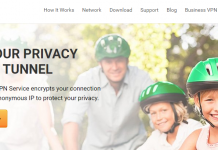 The VPN uses their proprietary stealth technology they refer to as the chameleon protocol. The Chameleon protocol allows 256-bit OpenVPN encryption obfuscated and transited through TLC port 443. The Chameleon protocol is an excellent choice for those residing or traveling to intense censorship countries like China, Iran, Belarus, UAE, and Pakistan. 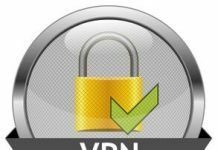 VyprVPN fully implemented and strictly no logs policy, and they allow a user to connect up to 5 devices using a single account concurrently. TorGuard uses its invisible SSL stealth VPN technology to dodge VPN restrictive Firewalls. 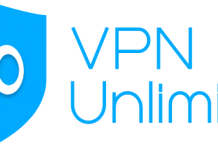 The VPN readily offers OpenVPN obfuscation, OpenConnect, Shadowsocks, and Stunnel and they have a massive network of more than 3000 global servers in over 55 countries. TorGuard is a no logs VPN and allows concurrent connection up to 5 devices using a single subscription.